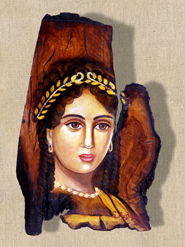 The Museum Shop is proud to be able to sell the latest work of Stamatoula Kalogiannis. 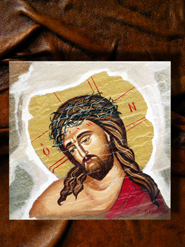 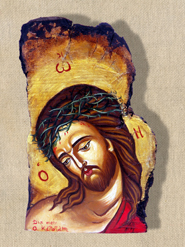 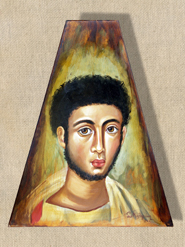 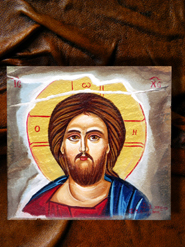 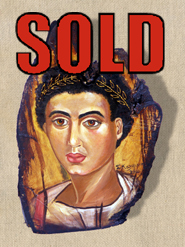 This Alonissos' artist paints in the style of Fayum portraits. 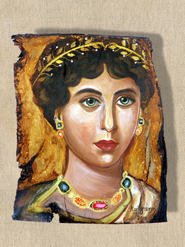 Fayum portraits were painted between the 1st and the 3rd century AD and kept up the late Hellenistic tradition of the Alexandrian School. 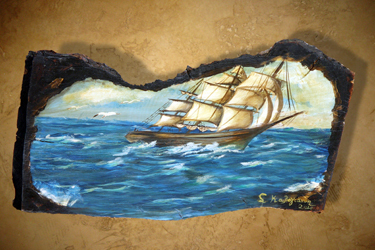 The techniques used were the encaustic technique and the technique of tempera. 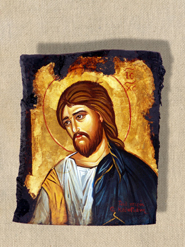 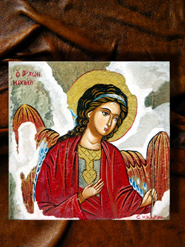 Egg-tempera is a hellenic style using egg yolk, vinegar, water and colour in powder form. 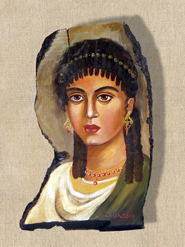 Stamatoula follows the same techniques as much as possible. 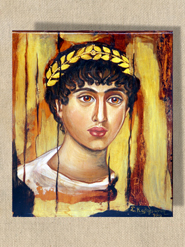 In the museum shop portraits on olive wood and on ceramic tiles are available. 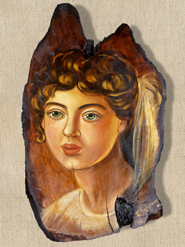 Unneccessary to say that every piece is unique.